Hello, some news about the development of HighDesign: The new version is in internal beta stage, which means that while some non-core features are still "rough", the application is solidly making progress and all the tools are reaching their final status. We are working to match the requirements of Mountain Lion, especially the new "sandboxing" technology which characterizes the behavior of applications in the new OS. As you can see in the attached screenshot, we have worked a lot on improving the user interface and workspace, and added many new features that have been long requested. We are very, very excited about the development and the direction HighDesign has taken, and can't wait to share the final product with you!! Excellent news - unfortunately I cannot see the screenshot - despite being logged in - "You do not have the required permissions to view the files attached to this post." Nice to finally hear something official. Very glad of the news, Andrew, it looks very exciting. However, you're still not indicating a time frame for release. Are we still looking at months or is this now down to weeks? are you talking about the 'Pro' version or the 'standard' version. I was and still am a convinced potential future user of Highdesign however, the long silence and what appears to be `the lack of follow up..` has stopped me, for the time being, to jump into your highdesign world. The concept of the program seems great in relation with other ``monsters``. Can one count on reliable support, rapid feedback, and normal improvements within let's say the next two years? Compliments to the developing team and best wishes to all HD users. Welcome sky - I use HD Pro for a residential practice and have since the first iteration - in the beginning the application team was crashing through major bug fixes, bringing on some major features and really communicative in the process. I believe a lot of us got spoiled in a sense. Now fast forward through the last two years, and the updates have slowed - mostly to stay in sync with Apple OS changes - without much on the features/performance side being new. Regardless, its a very solid application and in many ways doesn't really need a major this or that for normal cad production... yet a lot of us miss the rapid prototyping and express it every once in a while. There are a few features, like hatch in island or fence trimming/selection, that I would love to see... but not deal killers. The biggest improvement I hope to see sooner than later is performance upgrades for large file size drawings. When I have a drawing set of 8 or more detailed drawings I have to start to turn off more layers to keep the drawing process rolling as fast as a simple sheet. I haven't gone back to autodesk ever since HD released. Occasionally I look at the new offerings but have not made the investment to switch back. 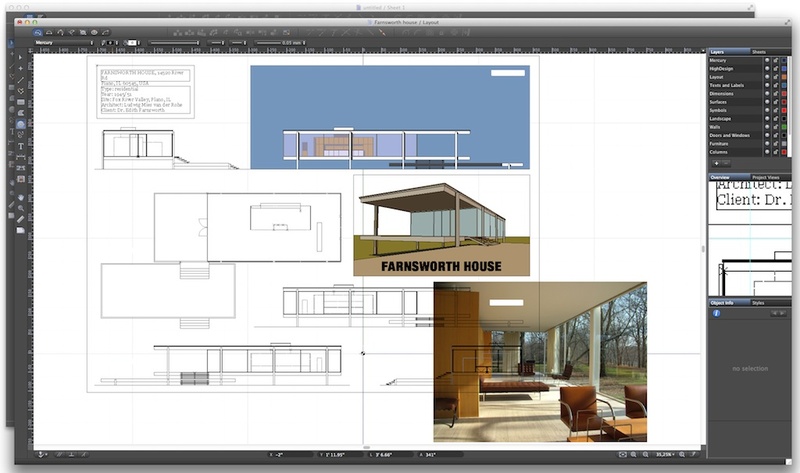 I believe if you need a good macbased cad app, there's no fear HD won't work for you as it is now. Thanks for your time in giving me valuable info. Thank you. I expect the new version. I hope that will be released shortly. Thanks everybody for the feedback! To answer some questions, "internal" beta testing means that we are testing the software and at the same time continuing the development of the missing features, so the time required may vary. Once the product is feature complete, we will have a brief period of closed beta testing during which the software will be released to a restricted number of testers. The new features will be available in both editions, Pro and Standard. Now I'm noticing more in the screen shot... what do you see? Can you give us any further updates Andrew? Would love to get my hands on the beta if nothing else! We are currently working on DXF/DWG compatibility, focusing especially on layouts, styles and supporting the latest (2013) revision.